Samsung is set to embrace the big stage once again, this time to announce the Galaxy S10 series of smartphones at the next Galaxy Unpacked event slated for February 20 (21st in the Philippines). The Samsung Galaxy S10, Galaxy S10+, and a rumored lower-tier phone named the Galaxy S10E are all expected to make headlines with a revamped design, top-shelf specs, and an in-screen selfie camera thrown in for good measure. We already have an idea how they might turn out, appearance-wise, thanks to previous leaks. But if you need yet another credible source of leaked information, we’d like to direct your attention immediately to this image posted by famed tipster Evan Blass. The render shows a line of transparent Speck cases designed for the Galaxy S10, Galaxy S10+, and Galaxy S10E. It reveals some interesting design choices, such as the likely presence of a headphone jack, as well as the absence of a physical fingerprint reader on the Galaxy S10E, which some say might not arrive with an under-display scanner. Samsung’s upcoming duo of flagships will reportedly — for the first time in the lineup’s history — have a fingerprint reader built into their displays. It’s also interesting to note that the Plus version in the render has three cameras instead of four, as some had speculated with reasonable logic (lest we forget that last year’s Samsung Galaxy A9 debuted with the world’s first quad-camera setup). 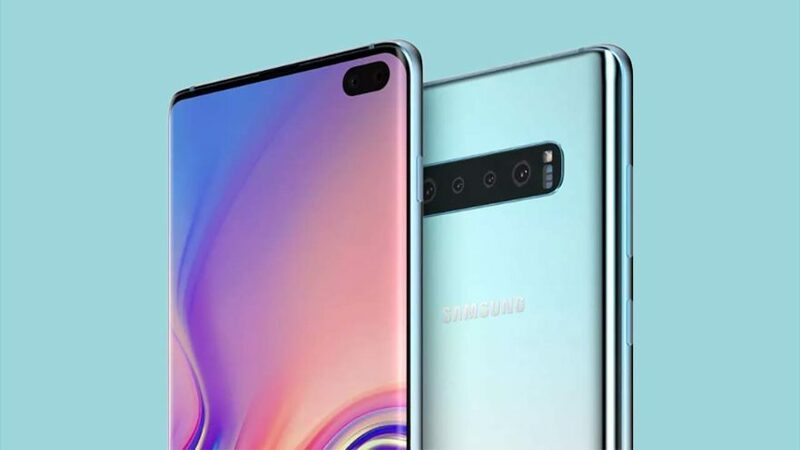 A plethora of reports claim the Galaxy S10+ will sport a dual-sensor front camera, which is exactly what we see here. The non-curved Samsung Galaxy S10E could get a 5.8-inch screen, while the Galaxy S10 and Galaxy S10+ are said to feature curved displays larger than 6 inches. Inside, Samsung’s 8nm, 8K-capable Exynos 9820 processor is set to power all three devices. For the Korean electronics maker, the anniversary Galaxy S10 range might have big consequences for its future. While Samsung remains the world’s top smartphone vendor, a raft of excellent alternatives from Chinese companies like Huawei are threatening to chip away at its dominance.